2017 Art Autumn Sales Exhibition at the Renaissance Centre in Wake Forest, NC. ≈ Comments Off on 2017 Art Autumn Sales Exhibition at the Renaissance Centre in Wake Forest, NC. 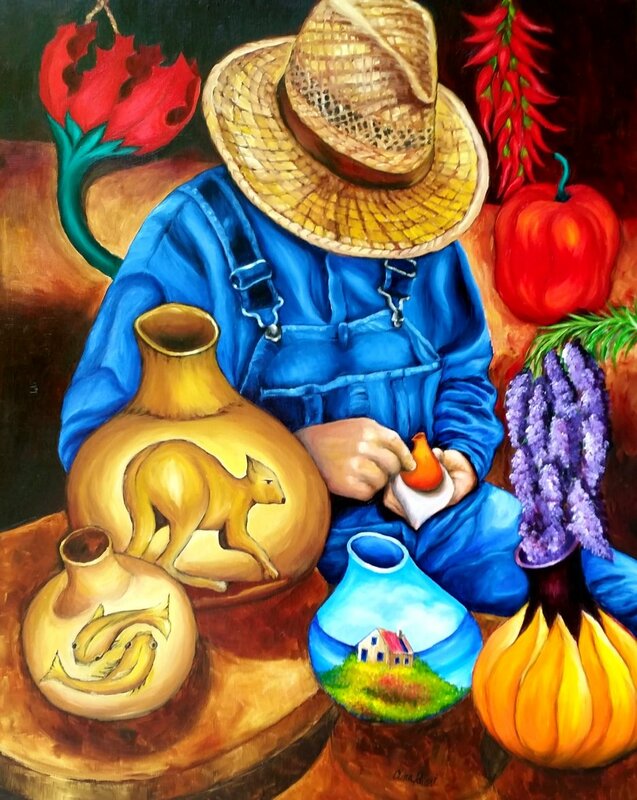 Artist Clina Polloni cordially invites you to an autumn art exhibition at the Renaissance Centre For The Arts. Date: Sunday, October 29, 2017. Click image to view larger painting. This exhibition is hosted by The Wake Forest Renaissance Centre for the Arts and the Wake Forest Guild Of Artists. 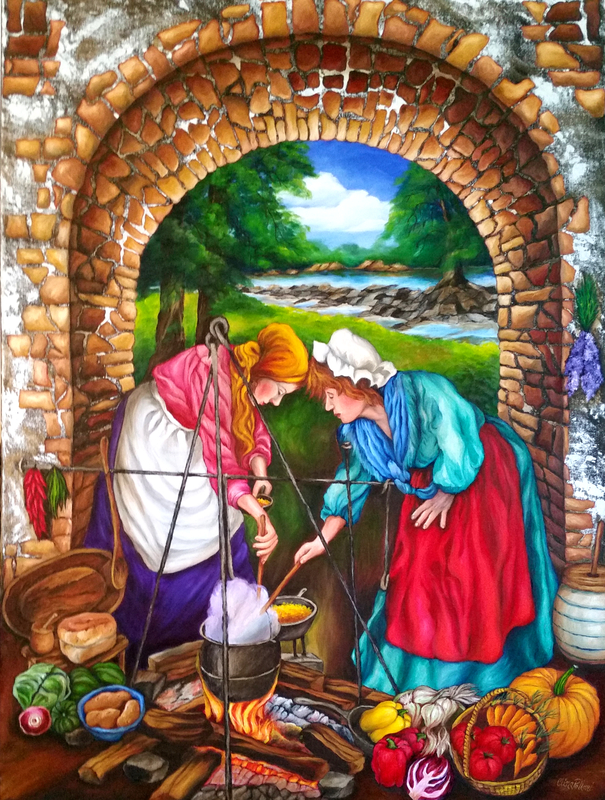 Clina Polloni will exhibit her new painting “Cooking On An Open Fire NC”, Oil painting 30″x40″. From the collection of ”Colonial People of North Carolina”. 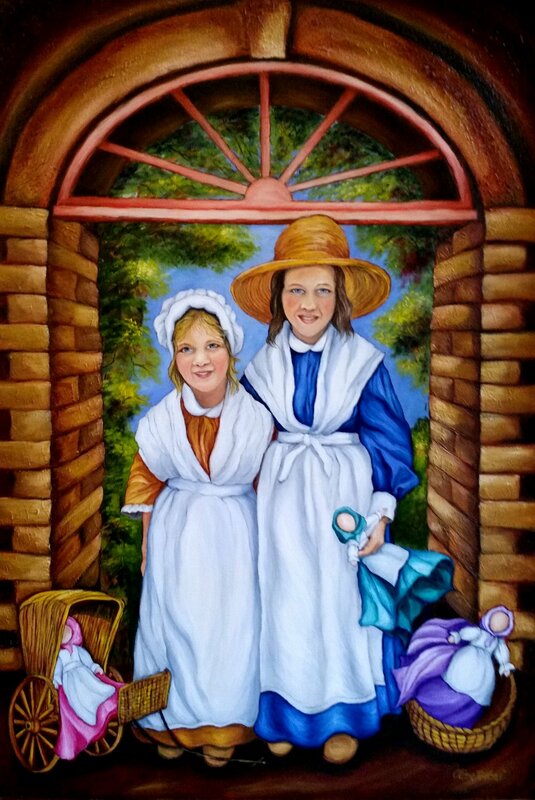 Inspired by her friends of Rivers of Yesteryears at the Tar River Festival. Art Exhibition at the Renaissance Centre in Wake Forest, NC, 2017. ≈ Comments Off on Art Exhibition at the Renaissance Centre in Wake Forest, NC, 2017. 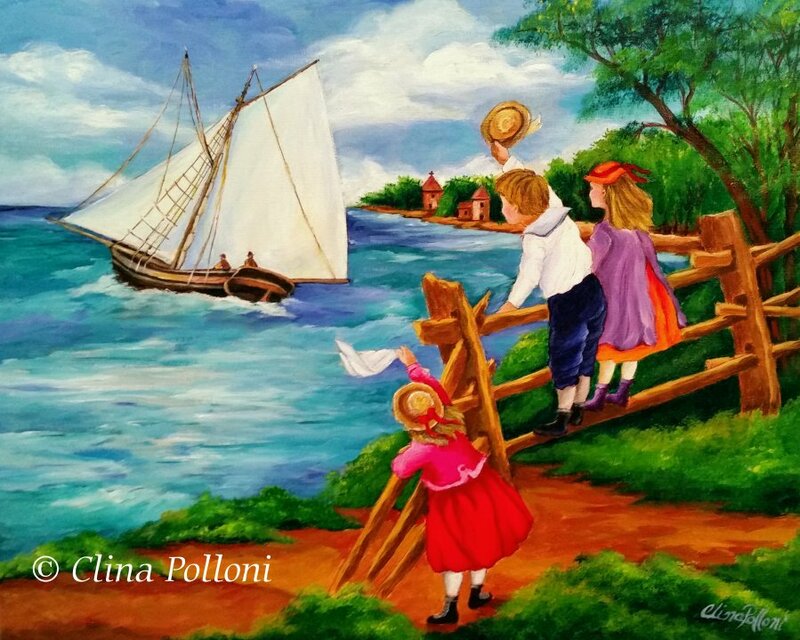 Artist Clina Polloni cordially invites you to an art exhibition at the Renaissance Centre For The Arts. Fan Favorite Award at Renaissance Centre For The Arts Exhibition. Date: Sunday, July 23, 2017. The Wake Forest Renaissance Centre for the Arts and the Wake Forest Guild of Artists will host an exhibition on Sunday, July 23, from 11 a.m. to 5 p.m. Over 20 artists will display their works of art in a variety of mediums and styles, including acrylic, oil and watercolor paintings, sculpture, jewelry, glasswork, encaustic, woodworking, and mixed media. How To Paint A Woman Weaving The Yarn. ≈ Comments Off on How To Paint A Woman Weaving The Yarn. 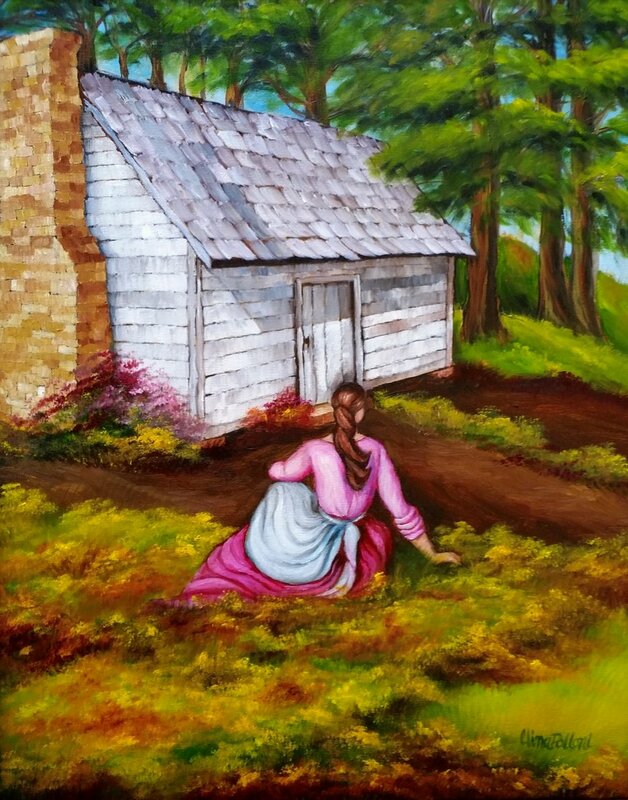 This painting was inspired by this lady weaving her yarn at the Tar River in North Carolina. She also stained her creative yarns with beautiful bright colors. 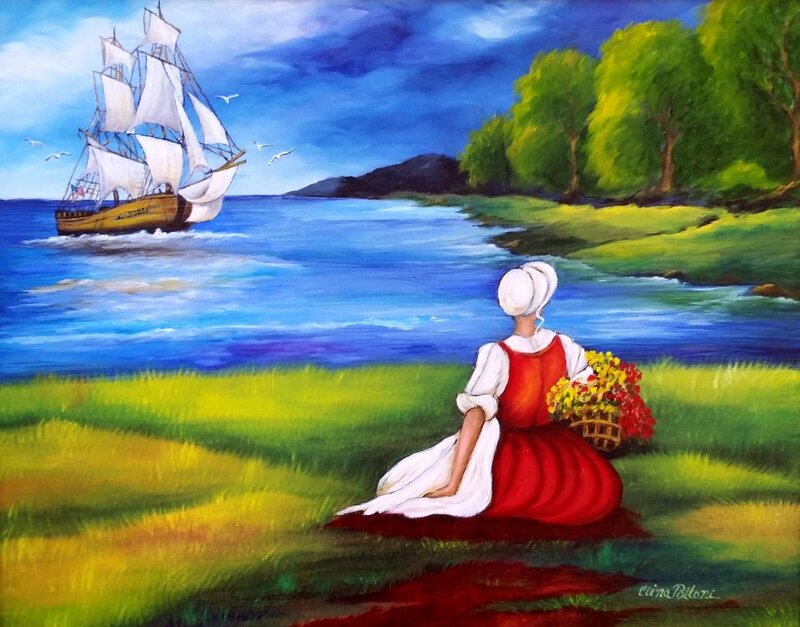 “The motif of the human figure in a dialogue with natures light and colors.” In these paintings Clina Polloni is portraying the people of North Carolina in their environment and activities, representing the colonial times and history of our state. Start by drawing the lady and landscape defining the light and the shade. Look at image. 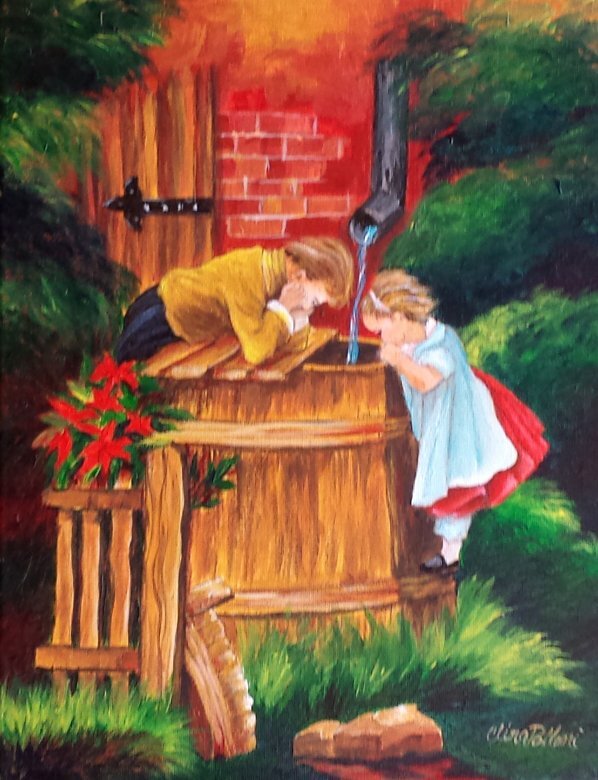 Using oils, start painting the background, bricks and wall. Paint yarn, basket, weaving loom and rug.